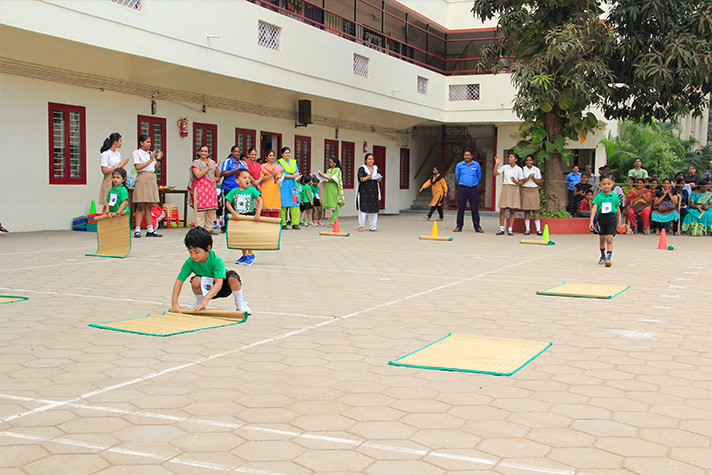 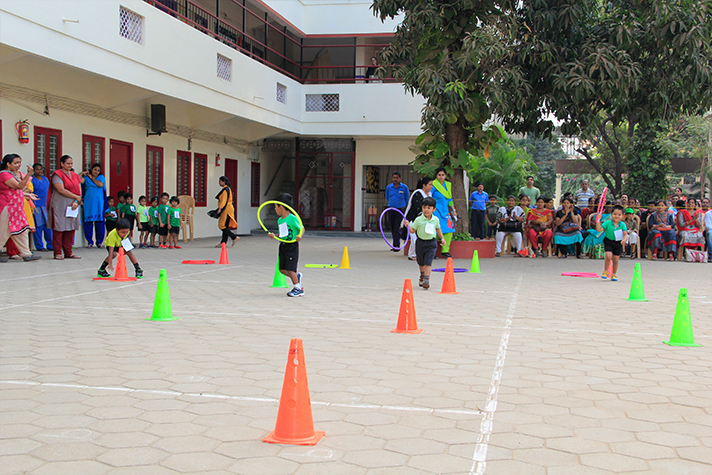 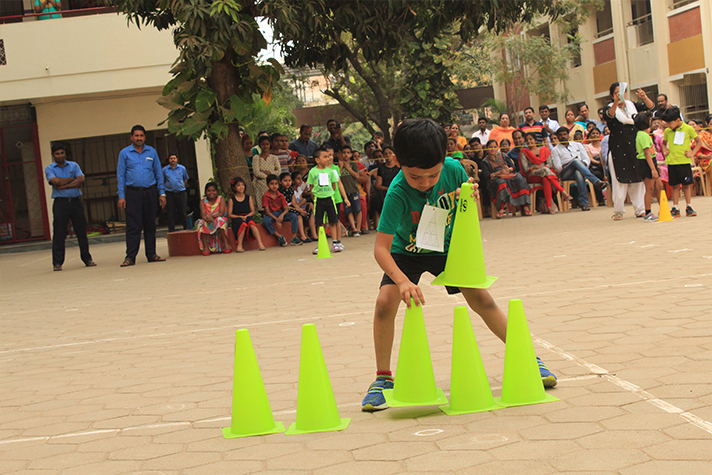 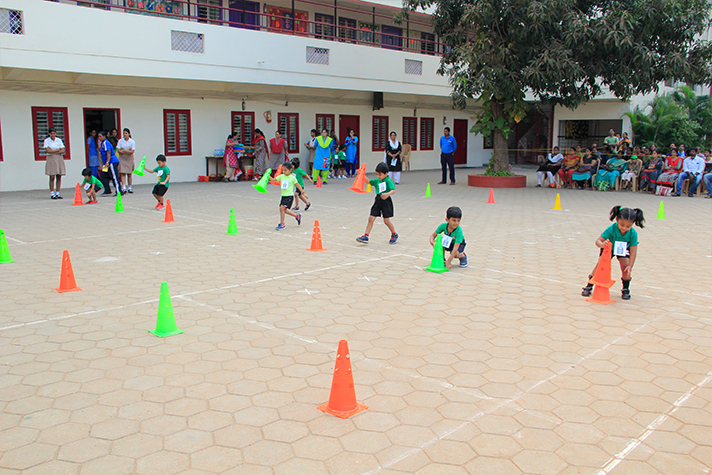 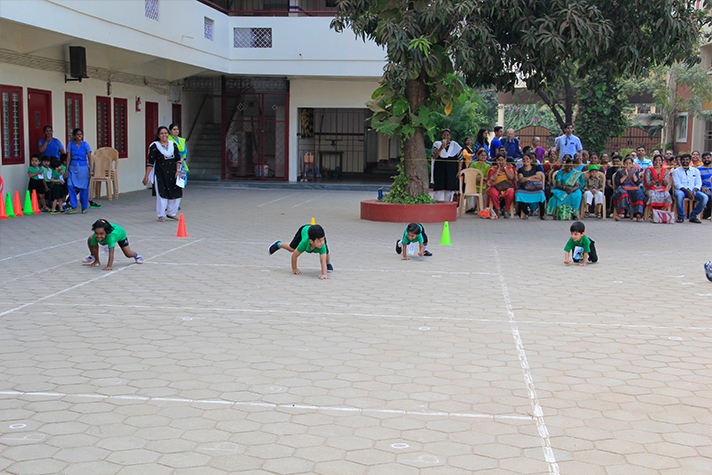 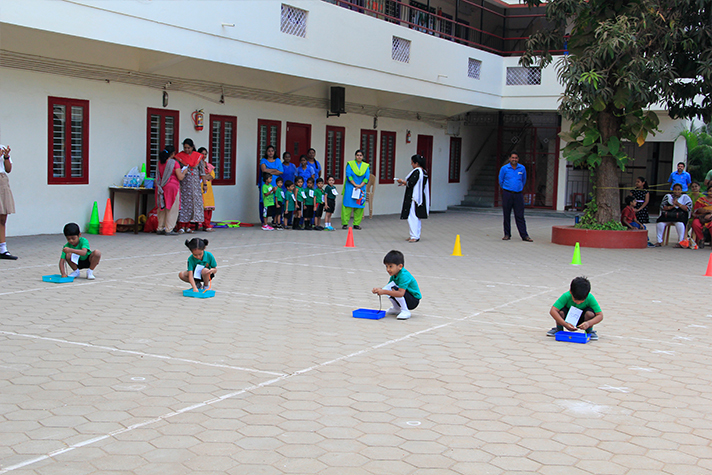 The Montessori Sports Day was celebrated with a mix of interesting events for children and parents. 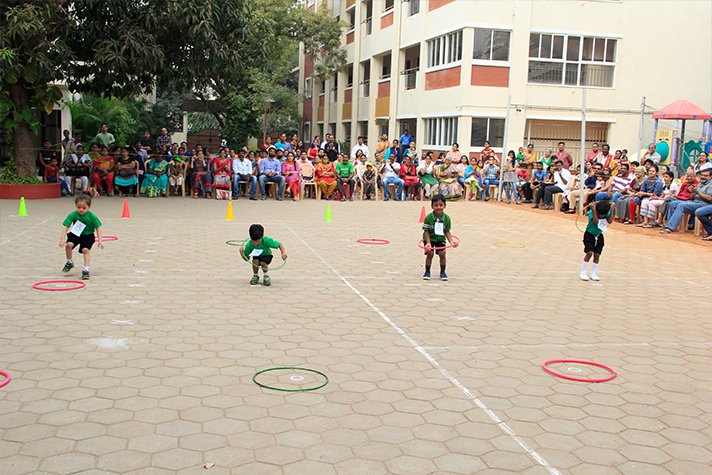 The freshers took part in a number of races like Crab Walk, Hoop around the cone, Stacking cones, Stringing beads, Sort the coins, Hula Hoop and Rolling Mats. 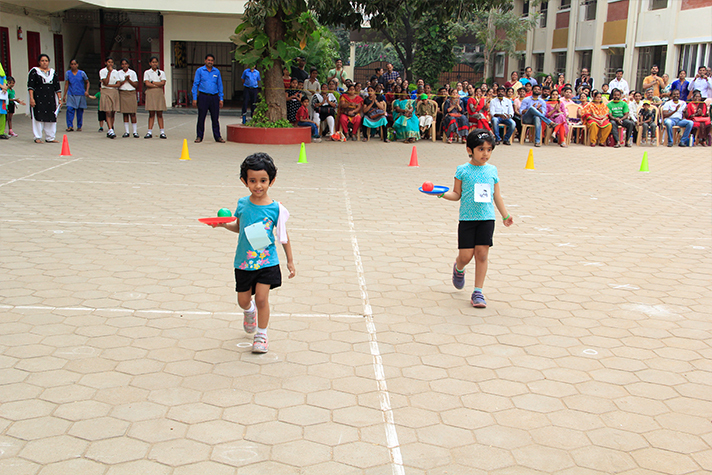 These races were planned to show the different kinds of strength and co-ordination needed by the children to finish the race. 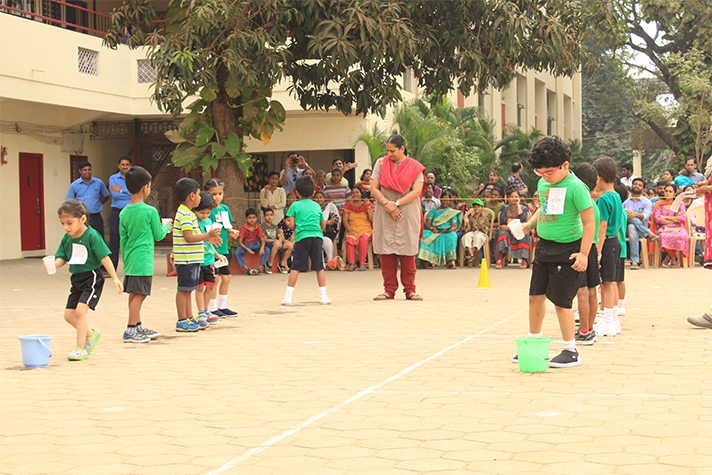 The Juniors and Seniors participated in Team Events and some races like Whacky Waiter, Balance Ball, Dribble the ball, Dress up, Build a Pyramid and Passing Water. 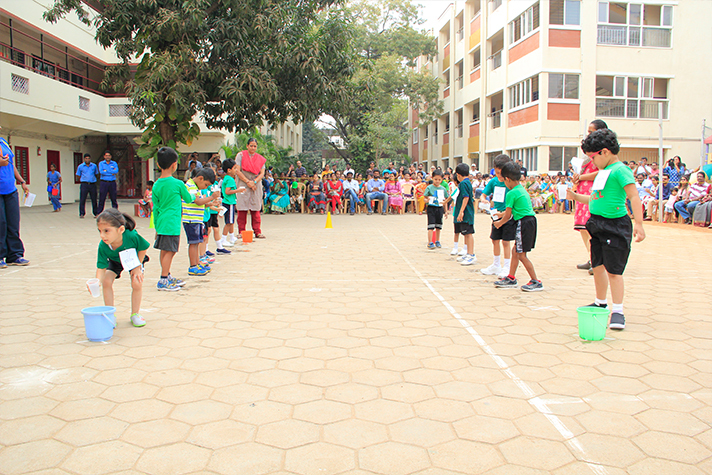 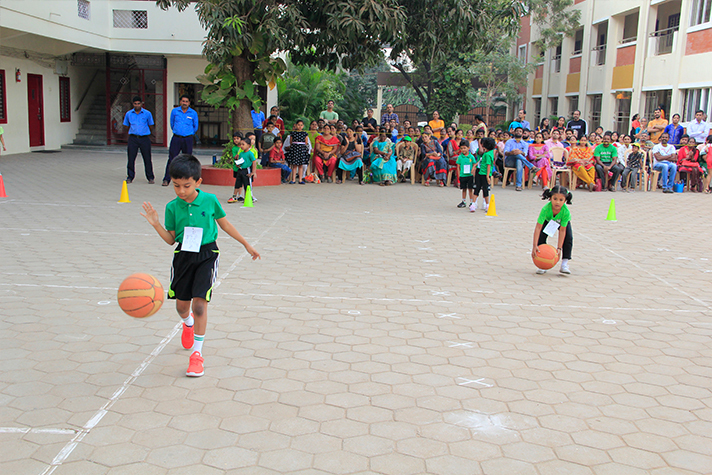 Parent and child events were also organised like Walking with your child, Eat-O-mania and Pass the Ball. 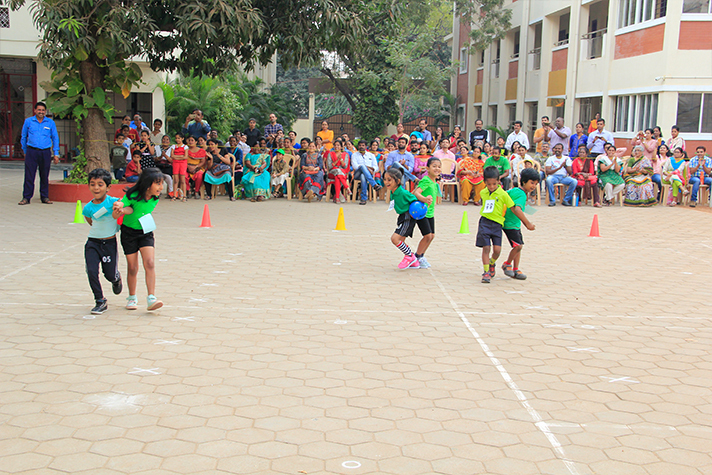 All the events were thoroughly enjoyed by both the parents and children.